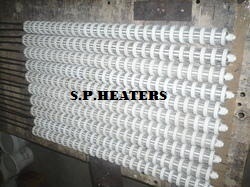 We are indulged in the making of ceramic band heaters providing excellent efficiency. 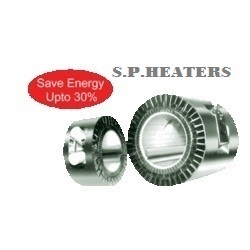 Our range of heaters are designed in amazing way and serve the needs in best possible way. Our range of Ceramic Band Heaters is the medium-to-high temperature heaters that have a maximum working temperature of up to 300 degree Celsius. The heaters are durable in nature and have in-built ceramic fibre jackets to make them energy efficient. Offered in different terminal styles, these are used to accommodate cut-outs and holes. 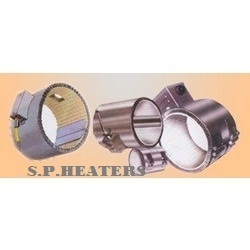 In addition, we hold the expertise to offer these heaters as per the requirements of our clients. 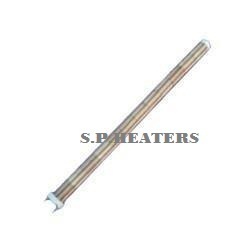 Industrial Ceramic Cartridge Heaters: Under the expert guidance, we are engaged in providing a wide range of Ceramic Cartridge heaters to our customers. Manufactured using kanthal wire and nickel chrome, these are offered in length of 3000mm and diameter of 26mm. Our range is appreciated for its sturdiness, long life performance and finds their applications in many industries. Apart from this, we also provide customized solutions as per the client’s specification. Insulation jacket (Energy saving): Unique Insulation Plus Ceramic Band Heaters are Specifically designed and engineered to meet the ever increasing demand for energy conservation and to improve operation efficiency capable of generating higher temperature essential to process today's high temperature resins. Our range also include Energy Saving Insulation Plus Ceramic Band Heaters which includes following features.